Help us welcome the newest member of our SFC staff, Jasmine Bravo! Jasmine just joined us at the end of March as our new Controller and Accounting Manager. She brings with her over 11 years of experience in all segments of the financial services field. Jasmine, who was born in Los Angeles, was actually raised in Medellin, Colombia. 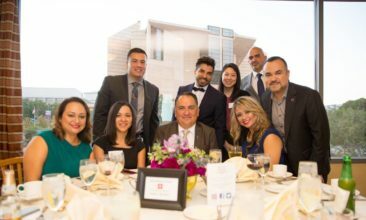 When she was eight years old she returned to Los Angeles at the urging of her father so she could learn more about her Mexican heritage and family in the U.S. Later she earned her Master of Business Administration from California Baptist University. She now resides in Riverside with her three boys, loving husband and family dog Kobe. Like most of our team, Jasmine was already very familiar with SFC before she came on staff as she has brought her son Matthew to volunteer on numerous occasions in the past. Her connection to the Center and our mission was the catalyst for coming on board at SFC. “The programs offered here bring so much value to the community in need. 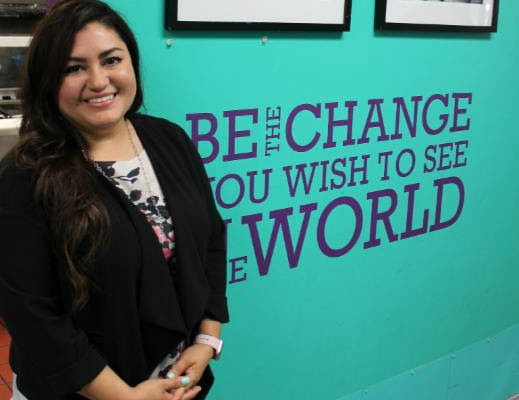 Working here allows me to be part of something big and amazing,” she said. Jasmine hopes to be a part of the growth at St. Francis Center and with her skills she will play an essential role in making even more great things happen here in the future! Welcome to the SFC team, Jasmine! Save The Date – Friends of SFC!